A leading Leeds law firm has opened a new office in Otley bringing its total number of premises in the region to twelve. nce in the town for the first time. The office will be headed up by partner Nigel Cowley, an experienced property law specialist with over 25 years’ experience in all aspects of residential conveyancing. Nigel has previously played an instrumental role in establishing and growing the firm’s commercial property division, as well as helping to set up and manage the firm’s Ilkley and Guiseley offices. Nigel will also continue to head up the Guiseley branch. Centrally located at 17 Market Street, the Otley office builds upon Ison Harrison’s reputation for making legal services easily accessible to local people across the region. Joining Nigel in the new office will be experienced family law solicitor Sarah Laughey. Sarah has over a decade of experience as a family solicitor and for the past six years has been a Resolution accredited specialist covering domestic violence and private children law work. She has also been running a popular free legal clinic at Otley Courthouse. The Otley team is further boosted by Amy Baxter, a trainee solicitor, whom will focus on Residential Conveyancing and Family Law. In addition to the Conveyancing and Family Law services available, a comprehensive Wills and Probate service will be provided by Rachael Pratt and Emma Garfitt. Nigel Cowley said: “This is a very exciting new office launch for Ison Harrison as Otley really is on the ascendance and there is a great buzz in the town. Another important reason for choosing Otley as the next strategic site for Ison Harrison follows the success of the free weekly legal clinics we have been offering here. 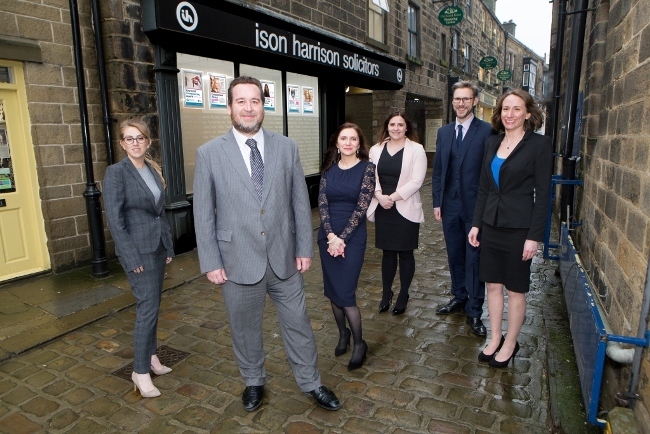 Jonathan Wearing, managing partner at Ison Harrison, said: “We are extremely proud to be opening a new office in Otley, a town where we have already had a presence and a great deal of success through our popular legal clinics. “Establishing a permanent presence was the logical strategic next step and reaffirms our considerable presence in the Wharfedale area with offices in Ilkley, Guiseley and now Otley. Following on from our new office launches last year, this represents a very positive step for the firm. The new legal practice will be providing a full range of legal services for both business and private clients ranging from residential conveyancing and family law and probate matters.